This proposal comes from a long period of appreciation of Lough Allen at all seasons, and a more recent concern as to where it is going. We responded to Consultation Procedures on Heritage, and the Development of Lough Allen. The concept of meeting 2 great goals (i.e. conservation and job creation) evolved from considering the needs of the area. 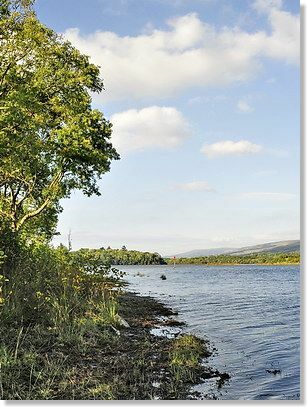 Lough Allen is the highest lake on the Shannon system, preserves many natural characteristics, has unique qualities, and is beautiful!